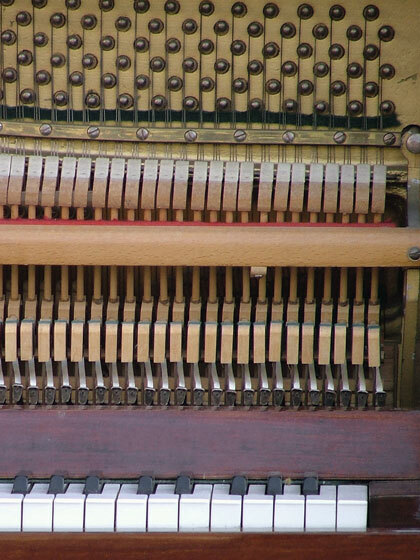 The keyboard can trace its history back to the clavichord, an instrument popular in the fourteenth century, in which keys were associated with the strings. When a key was pressed, a pick plucked the corresponding string. The clavichord's principles were later applied to both the spinet and the harpsichord. But these early instruments were not touch sensitive until an Italian harpsichord maker named Bartolomeo Cristofori replaced the picks with hammers, enabling the musician to play softly, loudly, or anywhere in between. The name for this instrument, pianoforte, came from the combination of the Italian words for softly (piano) and loudly (forte). The name was later shortened to piano. Cristofori continued to work on his invention, and 25 years after the original piano designed an action similar to today's system. Electric pianos, in which short strings, metal reeds, tines, or tone bars were used instead of long strings, were introduced in the 1940s. The vibrations were turned into electrical signals by pickups, and then sent to an amplifier. Electric grand pianos, which used short, real piano strings, were introduced by Yamaha in the late 1970s. 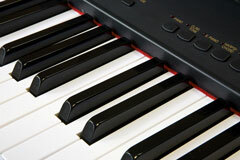 In 1983, Yamaha introduced the first digital keyboard. The keyboard also has roots in the organ, which is a mechanical set of panpipes in which the air flow is produced by bellows and controlled by the keyboard. Electric organs first came on the scene in the 1940s, and by the 1960s and 1970s the electronic organ was front and center in the keyboard market. 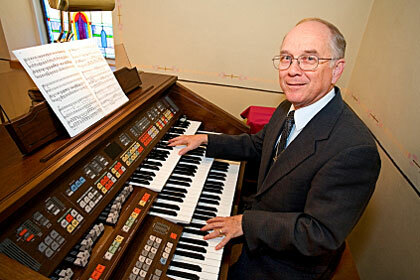 During the 1970s, the first organ with drum machines was introduced. Full accompaniment sections, which allowed entire orchestrations to be played with just one finger, followed. 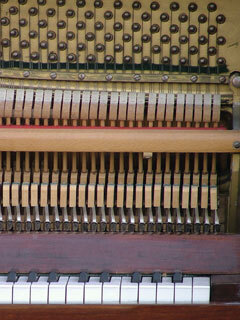 Original organs used analog technology, but when pianos went digital, so did organs! This meant that electronic keyboards could sound like any instrument. During the 1980s, as electronic circuitry became more compact, portable music keyboards were introduced.